Industry leaders are joining forces to unlock the potential of blockchain. The Institutes RBA Alliance is an unprecedented, industry-led consortium collaborating to unlock the potential of blockchain across the insurance industry. We are accelerating time to market and adoption through real-world applications and impactful blockchain use cases. We are currently accepting new members. Join forces with The Institutes and over 30 current members to realize the potential of blockchain. NEW COURSE: Discover just how blockchain technology will affect the insurance industry with the latest online course from The Institutes. Patrick Schmid explains a study that predicts the savings possible from the Proof of Insurance and First Notice of Loss Applications. Christopher joins The Institutes with 25+ years of financial services experience, including organizational transformation and data analytics. Most recently, Christopher led the Life Institute for Deloitte Consulting LLP, focused on innovation across the insurance space and enabling technologies. Patrick G. Schmid is an economist with a passion for blockchain. He oversees The Institutes RBA Alliance products, operations and technology departments. Dr. Schmid also coordinates the The Institutes RBA Alliance consortium of insurers, brokers and reinsurers and provides thought leadership for The Institutes. He has worked in the risk management and insurance industry for over a decade, researching trends on important market issues. A recent Forbes article reveiwed blockchain’s evolving role in insurance, and explored how the RBA Alliance’s Canopy framework will drive market efficiencies. New standards and guidelines will help the insurance industry consistently leverage blockchain technology to improve the customer experience. Mortality Monitor will help insurers address regulatory requirements to compare policyholder data with the Social Security Administration’s Death Master File. Accenture helping build a distributed ledger framework to enable multiple insurance use cases this year. We are launching a real-time insurance system for the people and insurers involved in auto accidents. 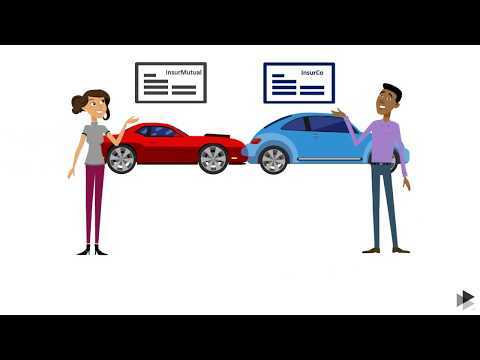 Our new use case creates a much more efficient process for reporting multi-party accidents. 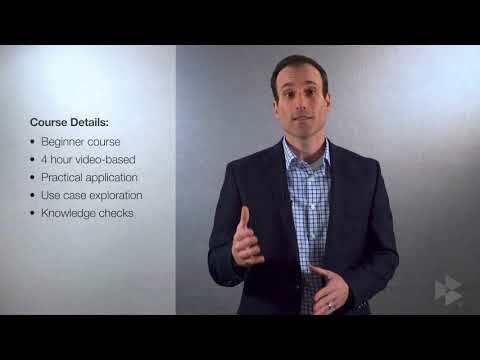 Educate your company on blockchain with this new certificate-based course: Blockchain and the Insurance Industry. Blockchain technology has the potential to disrupt industries and create new ways to provide services. Blockchain expert, Pat Schmid, PhD, gives an overview of blockchain technology and explains the importance of blockchain for insurers. 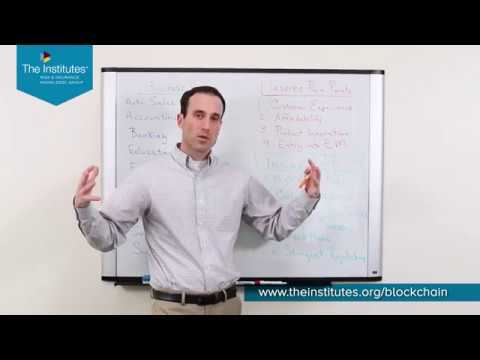 Featuring The Institutes’ blockchain expert, Pat Schmid, PhD, the fifth video in our blockchain series covers key information on business applications of blockchain technology for specific industries and how blockchain technology can help address insurance industry pain points. Patrick Schmid answers common blockchain questions and identifies key considerations for the insurance industry. 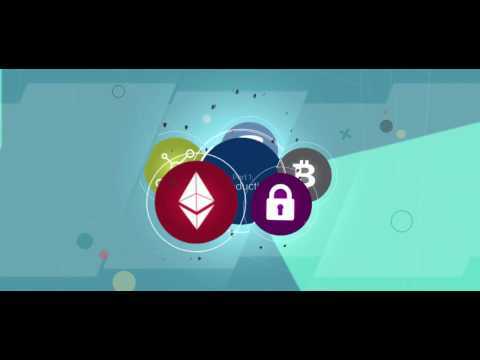 A detailed webinar on blockchain and the associated benefits of the technology for insurers. Read about how Patrick Schmid believes the early adopters of blockchain will realize the benefits of its technology. Learn about The Institutes RBA Alliance’s approach to developing use cases and the partners that will help guide the production. Why is the Blockchain Important to Risk Management and Insurance? 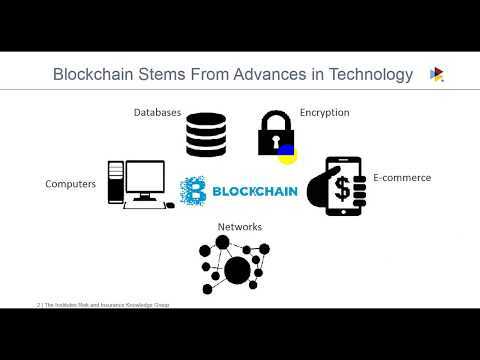 Understand the evolution of blockchain from a presentation Patrick Schmid gave for RIMS.